Distractions, Distractions…How’s your adult ADD working? What is your biggest distraction? Is it the phone, email, social media, constant interruptions from others? Managing and minimizing distractions are key elements of time management and staying organized. Whether you are trying to focus on a project at work or complete a task at home, constant distractions slow us down significantly. Are you familiar with the term “activation energy”? Activation energy is the minimum amount of energy that must be available for a chemical reaction to occur. The principal is the same for the energy needed to get a project completed. To start a project, we need a certain amount of “energy” but once we get started, it is much easier to continue to completion. It’s the stopping and restarting continuously that slows our progress and expands our timeline. So how do I minimize distractions to keep my activation energy going? 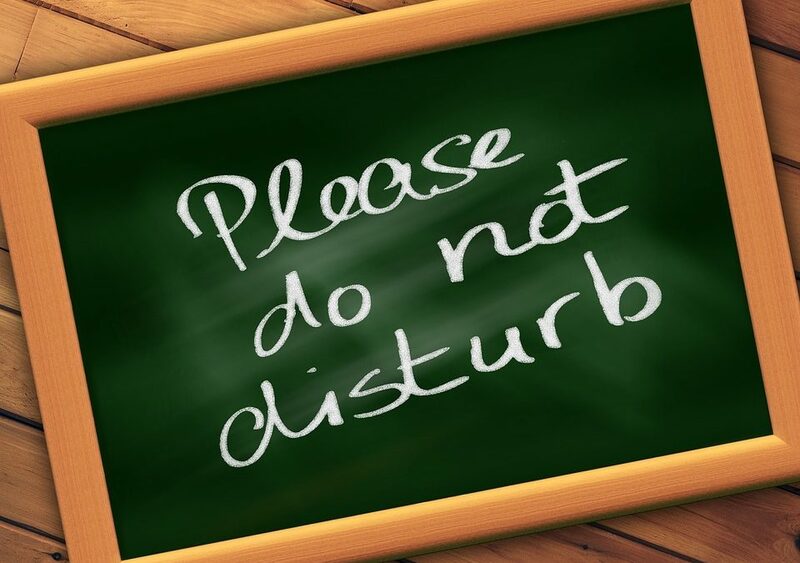 To keep focused on a project or task, you need to minimize your distractions by employing a “do not disturb” mentality. Set the timer on your phone for a reasonable length of time – 60 or 90 minutes. Then one by one, shut off or down those distractions. Turn the ringer off on your phone or set to “do not disturb” – don’t worry, the timer alarm will still go off. Minimize the taskbar which shows that a new email has come in. Place your phone upside down so you won’t see texts or notifications coming in. Are you concerned you might miss an “urgent” message? Set your phone to alarm after 20 or 30 minutes for a quick peek to be sure there is nothing that warrants your immediate attention. Are you in open office space and can’t close your door for a short period of time to work? Move into a conference room or put on earbuds to block out distractions. You will be more productive and less stressed when you manage your time and distractions. Figure out what solutions work best for you to filter out your distractions and keep your activation energy going.